Kasper Salto was trained as a cabinet maker from 1985 to 1988 at the workshop of Jørgen Wolff in Hellerup, DK. In 1989 studying Industrial design at The Danish design school in Copenhagen, and later a semester at Art Center in Switzerland . After graduation he worked freelance at the studio of Rud Thygesen where he met Peter Stærk who was the founder of Botium, a well-known furniture brand in DK. 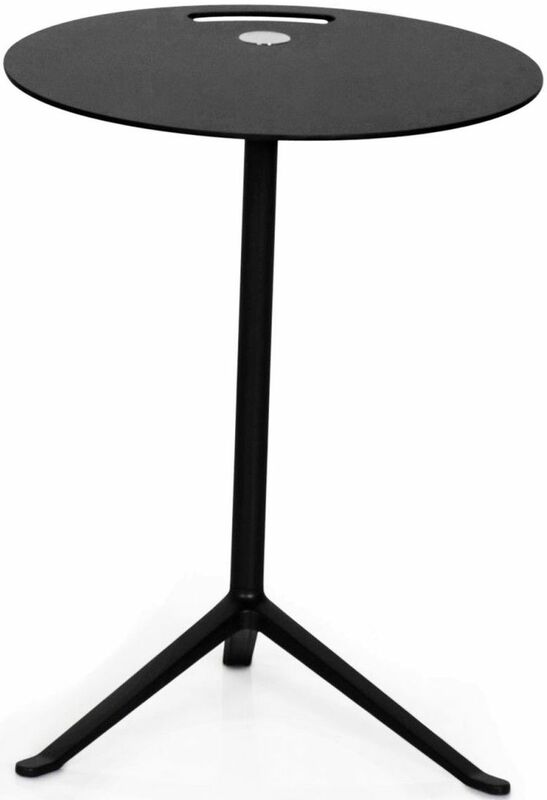 Peter Stærk was the manufacturer of the Runner chair that became known in Denmark, winning five international design prizes such as the Japanese G-prize. The design of the Runner chair started the career of Kasper Salto. 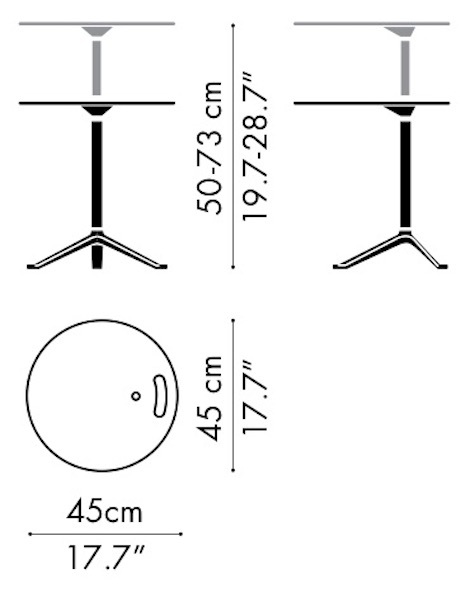 The chair was spotted at The SE-design exhibition in 1997 by Bjørn Stegger, the designmanager of the furniture company Fritz Hansen, and it led to a long lasting relation. 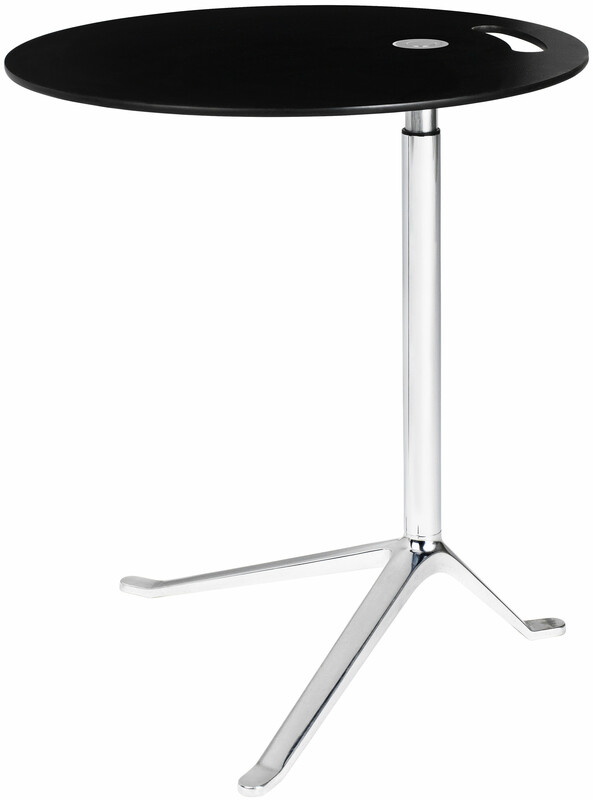 Kasper Salto started his own studio in 1998, working with Fritz Hansen and developing successful products from 1999, such as the ICE series, LITTLE FRIEND table and the NAP series. 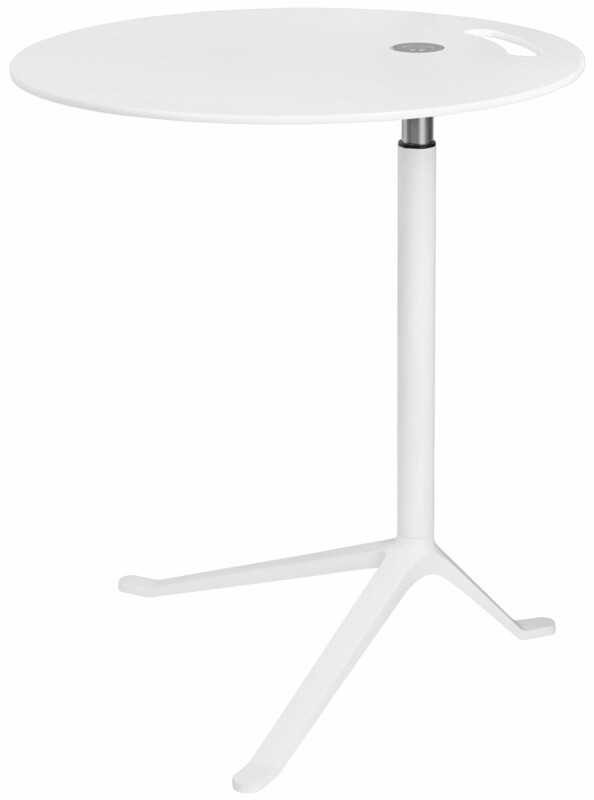 The multi-purpose table Little Friend designed by Kasper Salto is a small yet significant piece of furniture in the history of Fritz Hansen. The ground- breaking design was the result of a series of think tanks’ ideas of new ways of working and living. Little Friend is a flexible, multifunctional and portable solution to the challenges of modern minimalistic working and living. It is perfect for your laptop as well as your morning coffee. 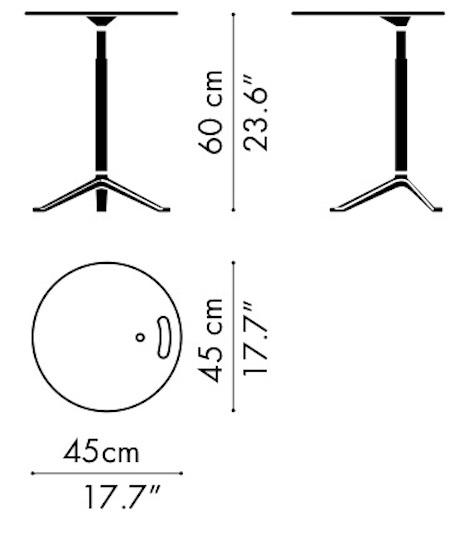 Little FriendTM is available in two models: A height-adjustable version and a version with fixed height. 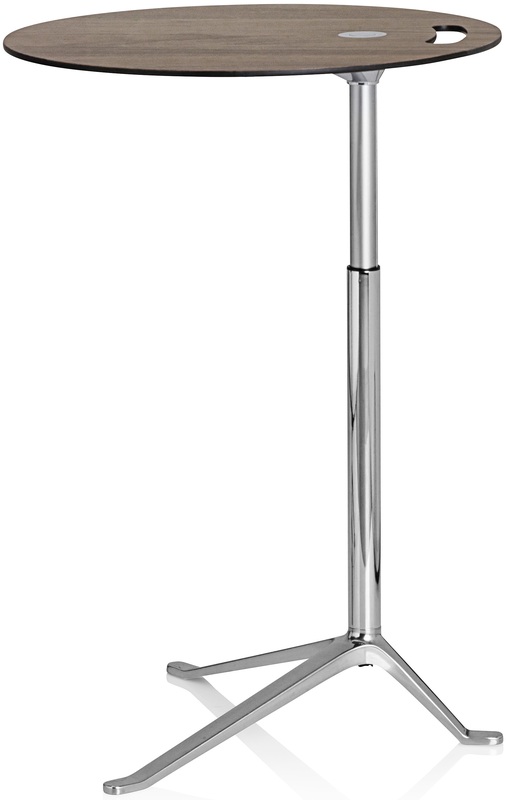 The button on the top of the height-adjustable model is made of brass, polished and chromed and activates the height adjustment. The top has a cut-out carrier handle. 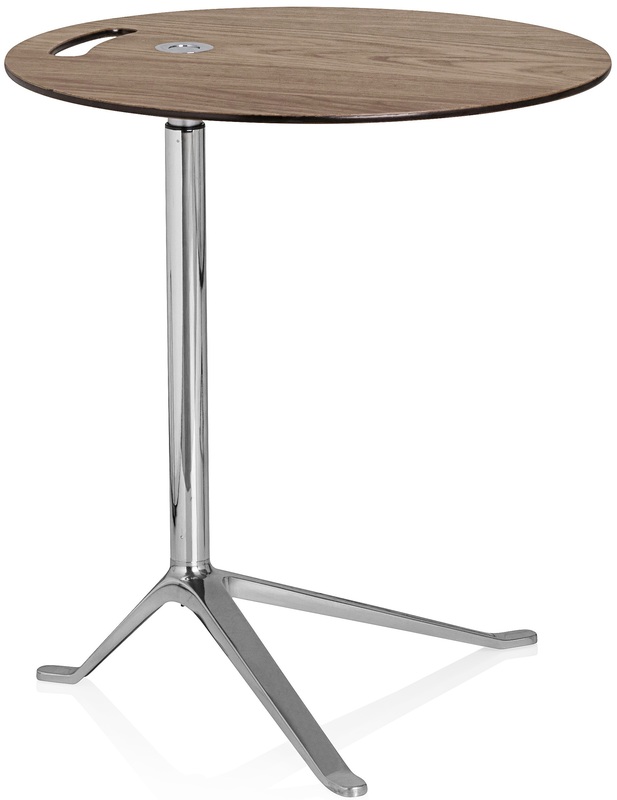 The table top is available in compact laminate in various colors and veneer. 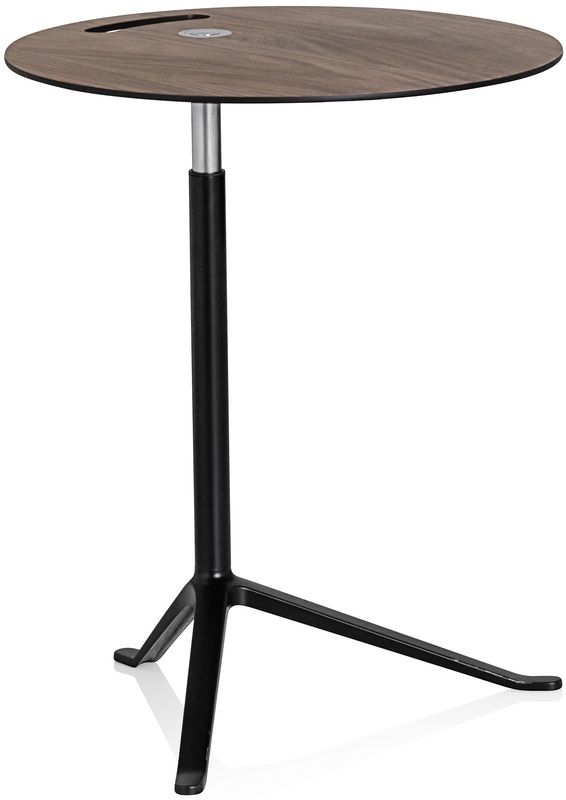 The centre tube on the height adjustable model is a telescope tube: The outer tube is in mirror chromed steel, the inner is in satin matt steel. On the model with fixed height the centre tube is in mirror chromed steel. 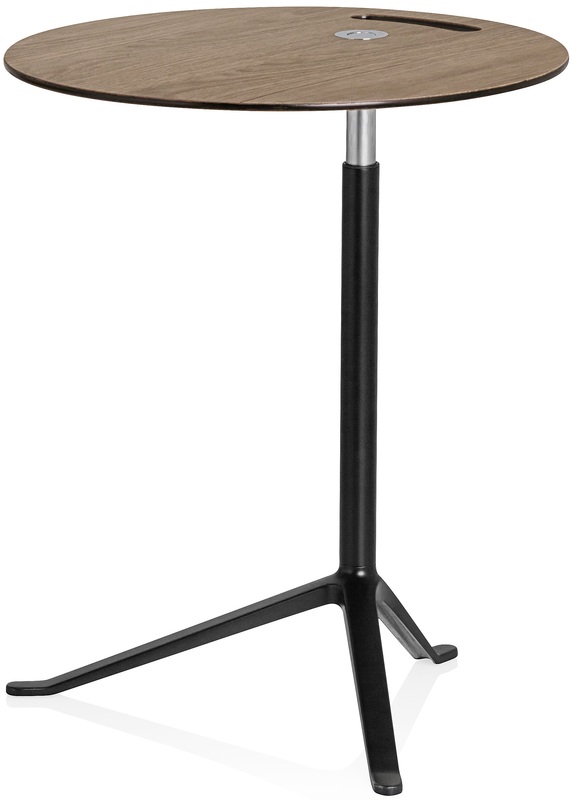 The three-legged foot and the flange are pressure moulded polished aluminium. 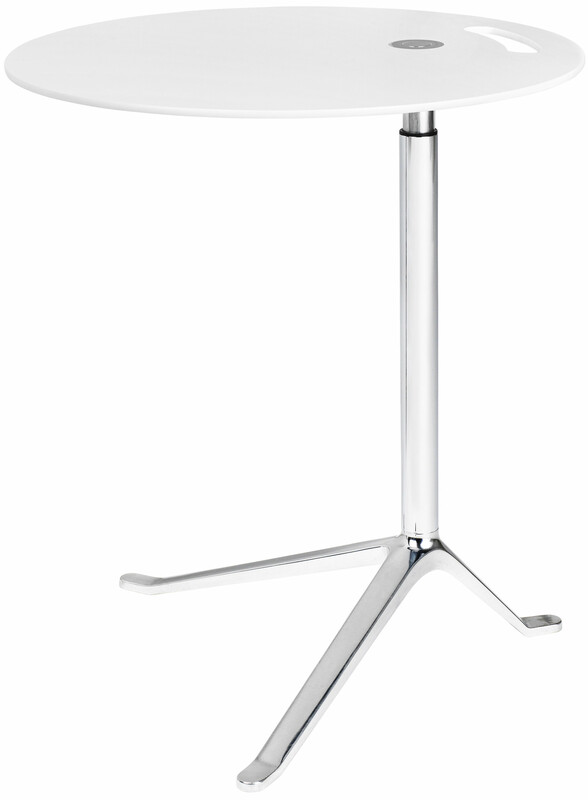 Also available with a lacquered base matching the color of the table top made.